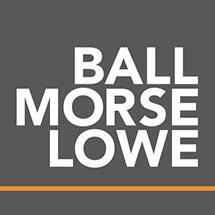 Ball Morse Lowe, PLLC, in Oklahoma, Cleveland, and McClain county offices is a law firm dedicated to providing quality legal services in a cost-effective manner. Our lawyers provide focused solutions tailored to achieve clients' particular objectives. They listen closely and respond promptly with sound advice and practical solutions. In the area of estate planning, we provide a full spectrum of services. We can provide basic estate planning help, such as the drafting of a will or power of attorney for a reasonable fee. We are also able to address complex estate planning needs such as the creation of a business succession plan or the implementation of an asset protection or estate tax minimzation strategy. Our attorneys have extensive experience in business law matters, including the formation of corporations, partnerships and limited liability companies, contracts, and the purchase and sale of businesses. Oil and gas law forms a key part of our practice, from both a transactional and litigation perspective. In addition, we provide services and prepresentation in matters involving family law and divorce, criminal defense and real estate. A strong committment to providing personal service lies at the heart of every attorney-client relationship. When you choose us to handle your legal matter, you can be assured that we will respond promptly and do everything we can to achieve results for you. For a free initial consultation regarding your legal matter, call Ball Morse Lowe, PLLC, at 405-701-6905.